Brianna and Bud are as different as the Hudson River and the Poudre – the older one steady and more thoughtful, and the younger one volatile and more determined. They often make a show of not getting along. I see an opportunity in this event to create some of the family teamwork and harmony that we can’t manage to pull off at home. I don’t know what’s going to happen — how the dynamics might change or affect our patterns and habits — but I’m ready to take the risk. Brian and I choose a half-day Mish Falls trip for this family boat, a run that faces some real Poudre challenges in the form of Class III and IV rapids. I’m toying with the idea of a quick chalk talk with Bud when Critter floats the raft and we load in. When Critter points Bud to the back of the boat, next to him, I let go of the need to pass on what I think is important. I imagine they’ll be fine together. With their defensive-end builds, they look like guardian sumo wrestlers, decked out in three times their normal amount of clothing. Brian and I claim the front bench and Brianna nestles into the middle with a friend. For several minutes, we float peacefully, our two heroic icons providing ballast against the river. Then, with no further warning, we head into the waves. Paddling “forward two” into Zig Zag, the first rapid on this trip, we hear a thunk sound. I crane my neck around to see what I believe, yet cannot believe, has happened. Bud is in the water, on the right side of the boat. He’s able to keep his paddle and Critter shoots out a stout arm to grab it. “Hoist yourself right over the side,” barks Critter. “Bud’s in the water,” I yell to Brian. “I don’t know what to do,” he yells back. “There goes my brother,” Brianna says to her friend. “Back two,” shouts Critter. The rest of us push some water forward. Bud grabs the thick, sodden rope that is hanging from the top of the raft. He lets go of the paddle and Critter drops it into the boat. Bud grunts and emits a creaky, bass moan of effort. The current is pushing him back and he’s having trouble pulling himself up. His trunk is suspended on the yellow rubber, like a whale splayed out for butchering, while his legs dangle in the water behind him. 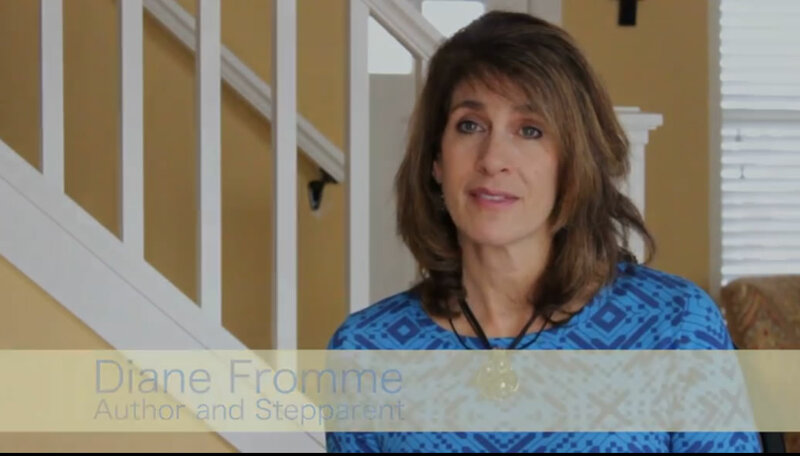 In Stepparenting the Grieving Child, Diane Ingram Fromme brings a wealth of experience, insight, and a lovely compassionate awareness to an important and under-discussed aspect of stepfamily life. 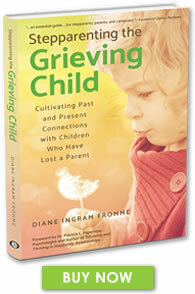 This book will provide a lifeline for stepparents who so desperately want to support their grieving stepchildren but have no idea how to do it or where to begin. 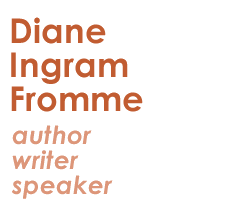 Licensed Marriage and Family Therapist, Author of Encouraging Words for New Stepmothers and Talking to Children About Divorce, and Founder of the Colorado Center for Life Changes and divorcehelpforparents.com.